Melisa M. Hypolite has diverse experiences working with learners from ages 5- 65 from a variety of cultural and socioeconomic backgrounds. Her education career began as a substitute teacher in South Jersey and evolved into Assistant Director of Admissions at a trade school, and later an adjunct college instructor, resulting in expertise in supporting college, career, and life readiness. Driven by a passion for equity in education, Melisa currently serves as a college advisor at an innovative, STEM-focused public charter high school, sits on the board of a local non-profit organization which focuses on student athletes and is the founder and CEO of an educational non-profit based in Baltimore, Maryland. Melisa recently put her expertise into the public domain as author and publisher of I’m Ready, a book she and others use to assist first-generation college families achieve their post-secondary goals. 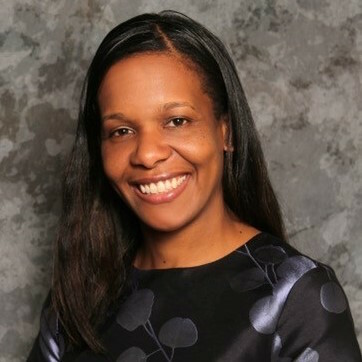 Melisa is often a featured presenter at college access events and has provided guidance to high schools, universities, and training facilities throughout the contiguous United States, as well as the U.S. Virgin Islands (USVI), Trinidad and Barbados. Born in Trinidad, Melisa puts her belief and lived experience that education changes lives into action in supporting families in the United States the Caribbean. After recent hurricanes in the USVI, she pooled resources, connected with like-minded organizations, and traveled to St. Thomas and St. Croix to assist with FAFSA completion. She has also extended her student-athlete support workshop to students in Trinidad considering continuing their studies in the United States. Melisa currently serves in a leadership role with the Potomac and Chesapeake Association for College Admission Counseling (PCACAC), was a 2018 PCACAC Counselor of the Year and is a member of the National Association for College Admission Counseling (NACAC).